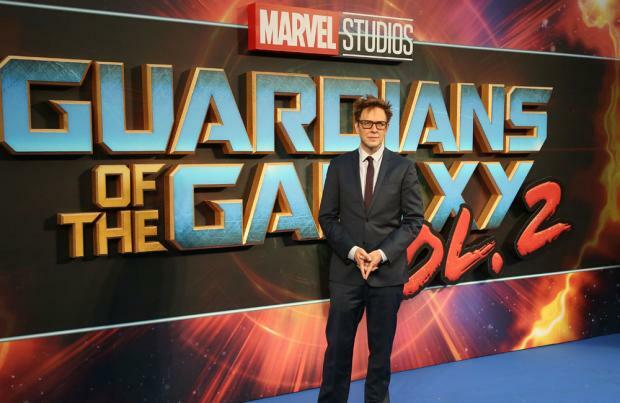 Marvel reportedly wants Disney to rehire James Gunn for 'Guardians of the Galaxy Vol. 3'. The 52-year-old director was sacked by the studio in light of a series of controversial tweets, but Marvel has opened discussions with Disney about the prospect of James being rehired in some capacity. James has been an integral part of the success of the 'Guardians' franchise, helming both of the first two films in the series. He has also received support from the franchise's star-studded cast, which includes the likes of Chris Pratt and Bradley Cooper, who have called on Disney to rehire the director. The discussions between Disney and Marvel have been perfectly amicable, according to Deadline, which says that James' hopes of returning to the 'Guardians' series remain a "long shot". Alan Horn, Walt Disney Studios chairman, previously issued a statement in which he detailed the reasons for sacking the director. He said: "The offensive attitudes and statements discovered on James' Twitter feed are indefensible and inconsistent with our studio's values, and we have severed our business relationship with him." However, the 'Guardians' cast subsequently issued a joint statement in which they called for James' return. The cast - which also includes Vin Diesel, Zoe Saldana and Dave Bautista - said: "We fully support James Gunn. We were all shocked by his abrupt firing last week and have intentionally waited these ten days to respond in order to think, pray, listen, and discuss.